For the fifth consecutive year, I attended the Joint Mathematical Meeting of the Mathematics Association of America (the MAA) and the American Mathematical Society (the AMS). This year the meeting was in San Diego from January 7 through January 10. This meeting is the most important meeting for both these organizations. At this joint meeting, universities and industries hire new PH.D Mathematicians. In addition, at this joint meeting, mathematicians present their new research under specific topics. 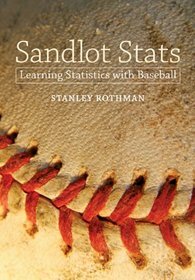 My presentation was under the topic “Sports and Math.” The title of my presentation was New Theorems to Predict Winning Percentages and Compare Parity in the MLB, NBA, and NFL.You can read about my research by Googling “Stanley Rothman and the Pythagorean Theorem of Baseball.” This research is described on the website www.baseball-reference.com. Predictive Modeling and Analysis of Golf and Softball Teams Using Linear Algebra. What can a jump tell us about a pitcher? The convention is also a time for reconnecting with former students, graduate school friends, colleagues, and family.